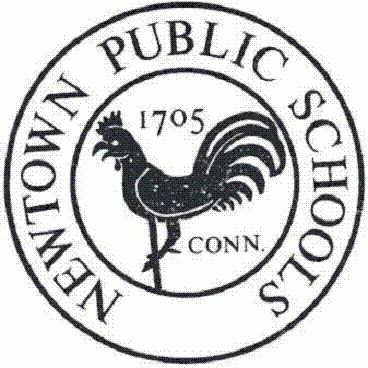 After months of effort, district Athletic Director Matt Memoli presented a self-study of Newtown High School’s Athletic Department at the Board of Education’s meeting on November 6. A team of district staff members, parents, and a student who worked on the self-study committee also attended the meeting to support the presentation. Superintendent of Schools Dr Lorrie Rodrigue explained that questions arose during the 2017-18 budget deliberations around “the fair and equitable” nature of the district’s athletic program. Mr Memoli then took the lead in putting together the self-study. “By all accounts, this was a great deal of work, time, and energy, around what, in the end, will be beneficial to all of our athletes,” said Dr Rodrigue, before thanking the “entire team” of self-study committee members. As previously reported by The Newtown Bee, the mission of the Newtown High School Athletic Program Self-Study was to create a plan to identify strengths evident in the athletic program, review areas of need, and promote equitable support for sports teams. Mr Memoli presented the plan for the self-study to the school board in February. A look at operating costs for the 2017-18 budget, shared in the November 6 presentation, explained, “Direct payments from parents (beyond pay to participate [fees]) and booster club funds are required to support real operating costs of the Athletic Department. Booster clubs [are] no longer providing only ‘nice to have expenses.” A look at the “true operating cost” of the department showed $1,031,933 was budgeted for 2017-18, and the actual amount spent was $1,125,481, a variance of $93,548 that was funded from direct payments and booster club funding, according to the presentation. “These costs are not just simple, nice-to-have things... these are things that are actually needed to run our athletic program,” Mr Memoli said. Between the boys’ and girls’ swimming and diving, baseball, boys’ volleyball, dance, girls’ lacrosse, girls’ basketball, girls’ golf, gymnastics, and ice hockey teams, the presentation estimated parents made direct payments of $73,376 for the 2017-18 budget year to fund things like uniforms, facility rentals, supplies, coaching, transportation, officials, and tournament fees. Ice hockey had the largest item of needed support: $44,600 for facility rentals. District parent Dennis Brestovansky explained some of the purchases, like uniforms, are for needed items that are owned by the students and not returned to the school district at the end of the season. Mr Memoli also shared that in some circumstances, parent groups offer to pay for an extra coach. Mr Memoli said the committee was not able to get information from all of the district’s parent clubs, but the boys’ and girls’ swimming and diving, baseball, boys’ volleyball, dance, girls’ lacrosse, girls’ basketball, girls’ golf, gymnastics, and ice hockey teams were the sports determined to have the biggest discrepancy in funding. To improve equity, the committee suggested a $60,000 increase in funding for the Athletic Department. It also recommended changing the district’s pay to participate fees to be $160 per sport, except ice hockey, which would have a recommended $250 pay to participate fee and have a family cap of $450. Ice hockey, Mr Memoli said, would be the district’s most expensive sport per player, and changing the pay to participate fees would allow it to be fully funded by the district. The pay to participate fees are currently tiered between $80 and $160, according to Mr Memoli, who said a $160 pay to participate fee would put Newtown “around the middle” of its district reference group (DRG) for those fees. “This is something that we are going to put in for our 2019-20 budget; however, if there were any of these funds, any at all, available this year through any type of fund, we would obviously be remiss if we didn’t find out how that process works...” said Mr Memoli. Those changes would put all sports at NHS “on the same playing field,” according to Mr Memoli. Changes that are being made following the self-study include sending formal budget requests to coaches prior to the budget season and tracking expenses. Mr Memoli said the committee would also like to have a new formal process of accepting a new sport. The presentation also included a plan for changes over the next five years, and Mr Memoli shared an overview of sports at Newtown Middle School and plans to expand those offerings. Committee members Becky Osborne, a coach, and Jackie Matthews, a senior at NHS, offered a brief look at the historical information they researched as part of the self-study. Ms Osborne said NHS yearbooks were primarily used to look at the history of NHS athletics. The committee would like to institute an athletics hall of fame, have a history of Newtown athletics book created, and it would like an athletics historian to continue the committee’s historical research. For those efforts, it would like community members to be chosen to serve on a hall of fame board, it will continue researching the history of athletics in Newtown for the book, and it hopes to continue maintaining accurate records of current and past athletes, according to the presentation.